International Conference "The Thing. Conceptual and Cultural Aspects"
The International Conference "The Thing. Conceptual and Cultural Aspects" took place on 24-25 September 2015 at the Institute for Literature, Bulgarian Academy of Sciences, in Sofia. The conference included researchers from the Polish Academy of Sciences, the Slovenian Academy of Sciences and Art, the New Bulgarian University, the Bulgarian Academy of Sciences. On 9 th of June, within the Day of Poland in Bulgarian Academy of Sciences celebration, during the conference "The Role and Place of Science in the Countries of Transition" the Polish-Bulgarian cooperation in the Institute for Literature was presented by Associate Prof. PHD Elka Traykova, Director of the Institute for Literature in her report "Polish-Bulgarian cooperation in the Institute for Literature: intercultural dialogue and scientific traditions in the field of literature ". On 27th of November, at the National Library "St. St. Cyril and Methodius" was held the national conference “Vestnik na jenata (Newspaper of the Woman) 1921-1944. Aspects of the Feminine”. It was organized by "Modern and Contemporary Bulgarian Literature" Department at the Institute for Literature and included the participation of scientists from nine research institutions, such as the Institute for Literature - BAS, Sofia University "St. Kliment Ohridski”, Southwestern University “Neofit Rilski”, Plovdiv University “Paisii Hilendarski”, New Bulgarian University, National Museum of Literature, National Library "St.St. Cyril and Methodius ". Members of Christo and Penka Cholchevi’s family, curators and editors of the newspaper, were also present at the conference. On 14th of November, in the "St. St. Cyril and Methodius” National Library Conference Hall was held „Pavel Vejinov in Bulgarian Literature” National Conference, dedicated to the 100th anniversary of the writer’s birth. The conference was organized by the Institute for Literature and was part of the "Days of Pavel Vejinov" program. The initiative is under the patronage of Mrs. Yordanka Fandakova, Mayor of Sofia, with an Organizing Committee, composed of the Sofia City Library, the Institute for Literature, the "St. St. Cyril and Methodius” National Library, "Ciela” Publishing House, "Enthusiast” Publishing House, Bulgarian National Film Archive and the National Museum of Literature. 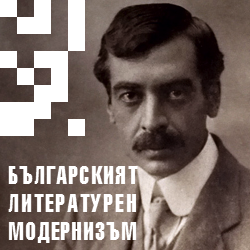 National Conference "Our Modernism (Bulgarian Literary Modernism: Authors, Issues, Concepts)"